Krishnanagar, Dec. 10: Concerned over recent incidents of alleged sexual abuses a on students at different schools in the state, the state government would soon issue fresh guidelines for the schools to ensure security of the students. 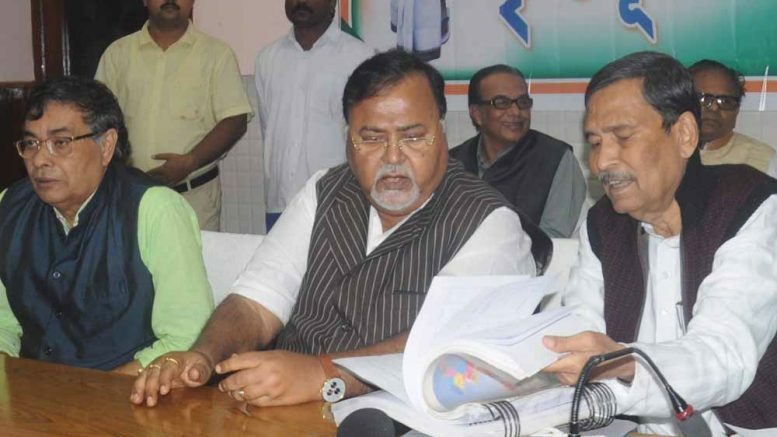 State education minister Partha Chatterjee today said that he would hold a meeting with officials of school education department on the issue in Nabanna and take final decision on the matter. In November, the state government issued certain guidelines on the fee structure of the private schools in the state as proposed by chief minister Mamata Banerjee that included some directives on security issues. But, the state government has decided to review those measures apparently in the light of the recent incident of alleged sexual atrocity on a girl. Speaking to media persons in Krishnanagar today following a meeting of Trinamul’s Nadia district committee, the education minister said: “The issue is very cincerning. We have already issued directives to the schools.It is not just about any particular type of schools rather as a whole. This included installation of close circuit camera, deputing atas at girls schools as well as in bises for children and others. We would review all these measures tomorrow to take a final call”. “I will held a talk with officials in Nabanna tomorrow on all the aspect and and take decision to issue fresh directives on the matter”, Chatterjee said. “Ami Sombar sob kichu dekhbo, alochona korey siddhaanta nebo”, he told the media persons. He, however, did not mention exactly when the government would issue the directives. Sources in education department claimed claimed that chief minister is likely to attend the meeting where officials of school education department and private schools are likely to be present.